The Poly Garden Classic 44″ Square Outdoor Table is the perfect outdoor table for your pool-side or patio. Choose between counter or bar height and enjoy your meals, drinks, or sunsets around the ideal outdoor table. Relax with the satisfaction of knowing your table is made of recycled plastic! 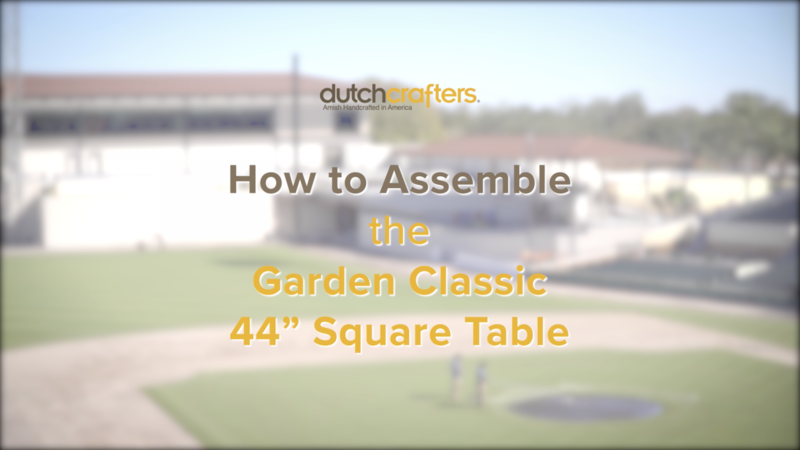 We took a break in the midst of furnishing the Detroit Tigers spring training stadium in Lakeland, FL, to film an assembly video led by Kyle from manufacturer Berlin Gardens. Here’s your chance to learn how easy it is to assemble the Poly Garden Classic Outdoor Table from DutchCrafters.